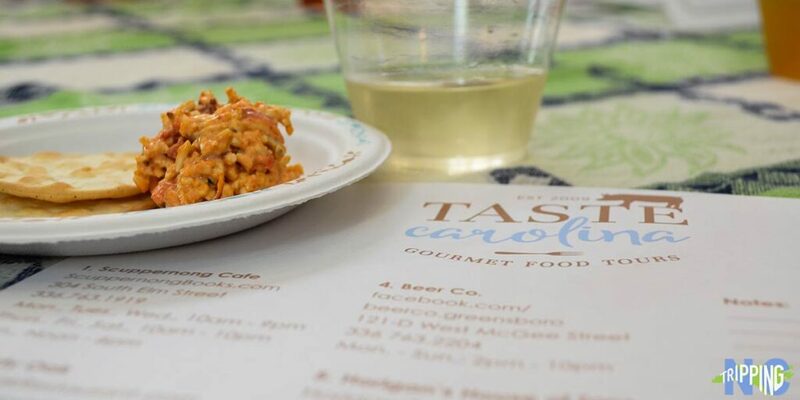 Taste Carolina Gourmet Food Tours offer the best way to explore the Tar Heel State. When we’re traveling to new places in North Carolina or at home searching for food in Durham, we often spend a lot of time researching, yelping, or asking around on social media. Travel usually means you only get to see a small snippet of what life is really like, so you have to cram a lot in! 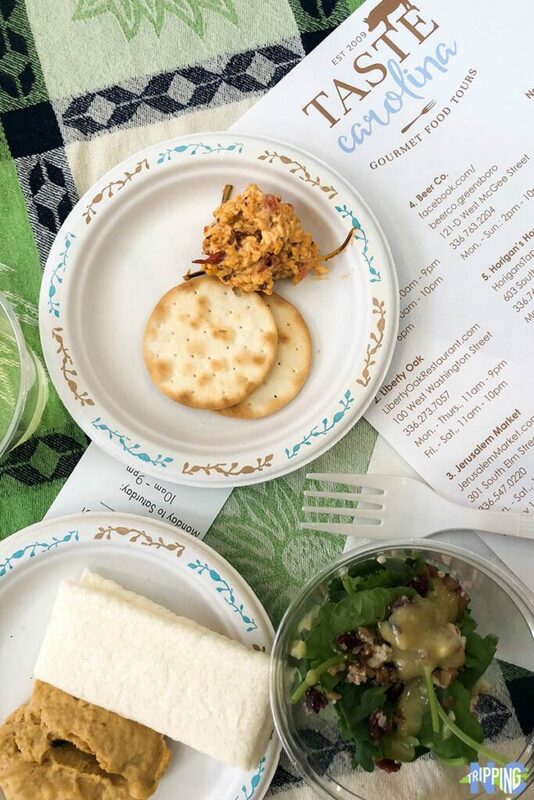 We’re going to share our experience of traveling to Greensboro to meet Taste Carolina Gourmet Food Tours and why you should travel with them, too! We think Taste Carolina Gourmet Food Tours are so fun that we included them in our guides to a weekend in Greensboro and winter things to do in North Carolina! You can read more of our experiences with Taste here as we join tours throughout the state, too. With a Taste Carolina tour, you get to eat and drink in hot spots around town. You also make stops along the way at important markers in the city. During our tour in Greensboro, we stopped at the site of the Woolworth sit-ins and talked about the architecture around the city. By walking around the city, you definitely get a different perspective of what is around! Learn more about the Woolworth Sit-ins with a copy of Freedom on the Menu by Carole Boston Weatherford. Delicious food and beer can be found at Horigan’s in Greensboro. Ever look at the top restaurants in Yelp or TripAdvisor and realize you only have X number of meals in the city and too many options? You get a small sampling at a lot of different restaurants! There are small samplings at each stop. 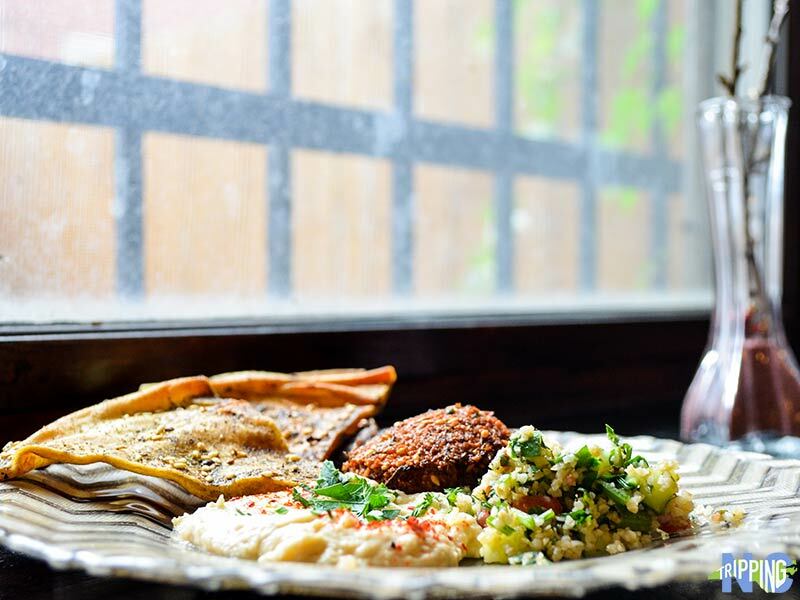 That gives you a feel for what their best dishes are and maybe decide if you want to come back to order more! Not only do you get to taste a lot in a short amount of time, but you may also go somewhere that may not have even been on your radar. Beer Co. on W McGee St. is a cool-looking place to grab a brew. With any tour, you never know who you might meet! We’ve done a lot of different tours throughout our travel days and we’ve never had one where we didn’t make at least one connection! Everyone is there for the same reason—to learn, explore, and EAT! 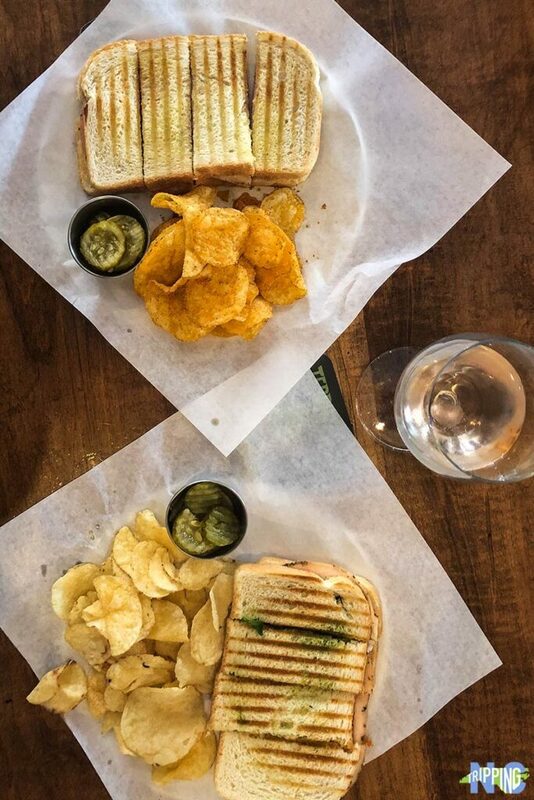 In our tour, we had locals who had never been to these spots, a pair of ladies eating their way through all of North Carolina’s cities, from the Mountains through the Piedmont and to the Coast. We even met travelers just passing through on their way home to Ohio from the beach! We all shared the same love and learned a little bit about each other in our three hours eating and drinking our way through Greensboro. Seriously, go to Jerusalem Market in Greensboro if you haven’t already! I find when we travel we always go to places that are well known, and stay away from restaurants or flavors that we can get at home, such as Thai or Mediterranean. But when we do that, sometimes we miss out on incredible restaurants! Without the Taste Carolina food tour, we wouldn’t have ever eaten at Jerusalem Market on Elm (Website/Facebook), which has some of the best hummus! Our bellies were happy and we now know that we have to go back to Greensboro to order a bigger portion! Where do you like to grab food in The Gate City? 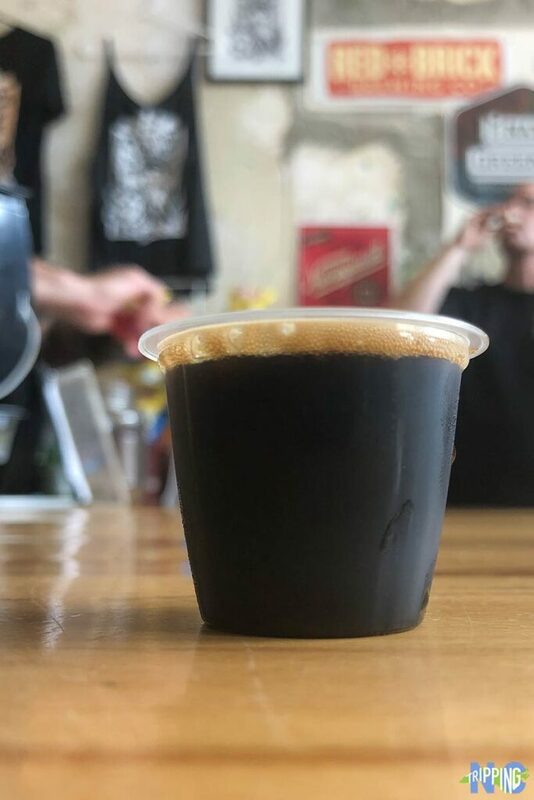 We covered more places to eat in our weekend guide on things to do in Greensboro! 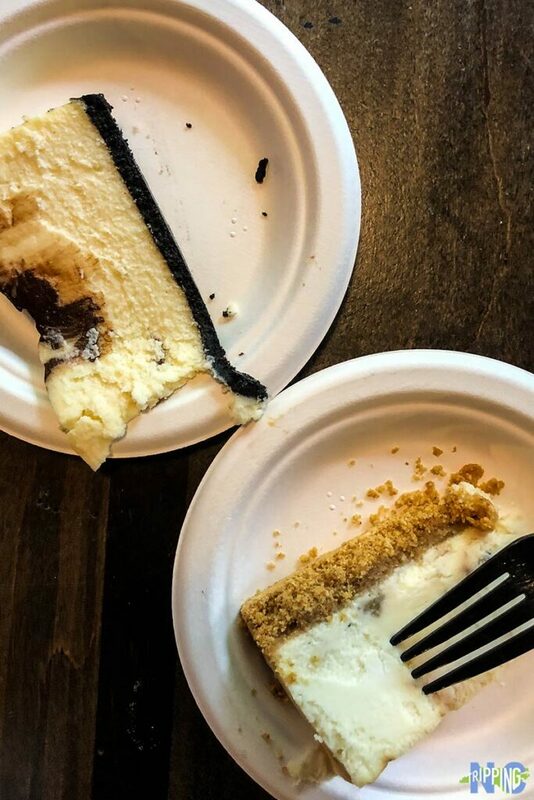 Don’t mess with Cheesecakes by Alex. Just go and enjoy! You can research and ask around, but there’s nothing quite like being taken around a city by a local. They’ll show you the places to eat. Tell you what used to be in this building. They’ll have the lowdown on what’s going on and how to best enjoy your time. By touring with Taste Carolina, you’re going to have a true Carolinian show you around and give you tips and tell stories that you won’t find elsewhere. Did you know that hotel over there is haunted? Or that if you come to this restaurant you HAVE to order the pumpkin cheesecake at Cheesecakes by Alex (Website/Facebook) because it’s TO. DIE. FOR!?!? Those are the kinds of things I want when traveling for food. Because who wants to risk it on just “okay” cheesecake? 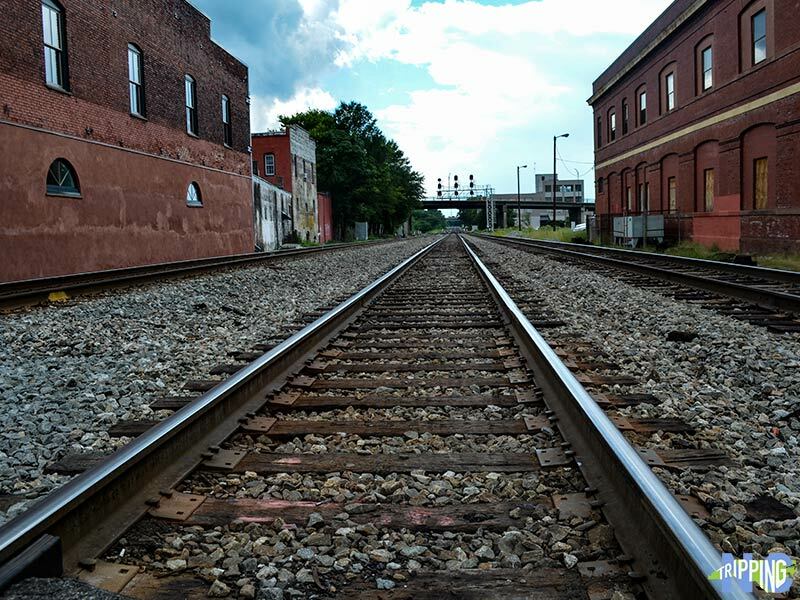 We learned that a lot of history has happened along these tracks in Greensboro. In Greensboro, you go up and down Elm. 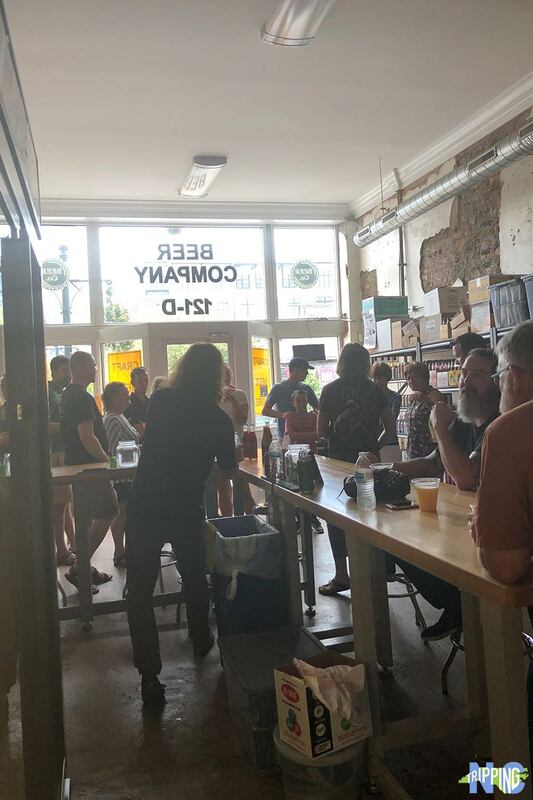 For Chapel Hill and Carrboro, the tour will show you how interconnected each restaurant is within the community. In Durham, you’ll spend time on Main Street. Wilmington? The waterfront. Each city has it’s unique vibe and so each tour will too! In fact, the restaurant line up also changes due to a variety of factors. That means you may find yourself in the same city with a completely different set of meals to enjoy! More info about cities and types of tours are available on Taste Carolina’s website! 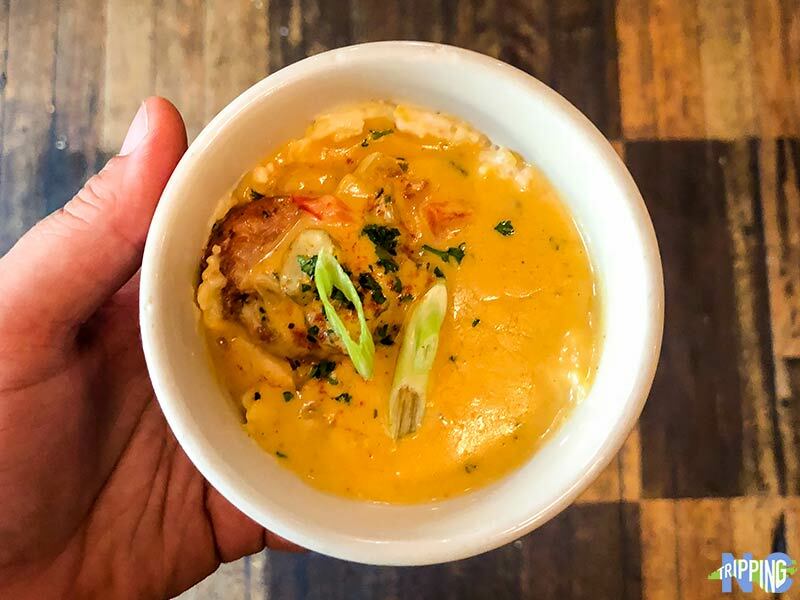 The owner of Liberty Oak shared his restaurant’s background and a little bit about these delicious shrimp n’ grits before we gulped them down. This is the part of the tour that I really enjoy. As a foodie and person who has worked behind the scenes preparing food, serving, bartending, and doing event managing, talking to the people who create your food is always fascinating. You get to ask them questions about their dishes or how they source their ingredients. The food world is a hard industry. There is always an underlying passion that is driving them and I love hearing chefs share that. Looking for a cool team-building night? Or maybe you have a special event/party/group of friends? Taste Carolina also puts together some incredible private tours that are catered to your style! Fancy? Southern? Cocktail crawl? They’ll organize it for you and make it simple. That way, all you have to do is show up and have an amazing time! After doing a Taste Carolina Gourmet Food Tour in Greensboro, we came away very happy and full! We were also convinced that we want to make their other cities a date night bucket list! It’s fun to eat at a variety of new places. Also, tours like this one give you a chance to meet and talk to people who are also interested in food. Learn a little history from your awesome tour organizer and pace yourself through three hours of great food and drinks! We know that once you tour with Taste Carolina, you’ll never want to travel any other way! Special thanks to Taste Carolina Gourmet Food Tours, who provided a complimentary tour. No other compensation was received for this review. This post reflects the honest opinion of our experience without outside influence. This guide is part of our series on North Carolina Food. It was originally created on August 21, 2018. It has been maintained and updated (as of December 30, 2018) to reflect current viewpoints and travel trends. This entry was posted in Travel and tagged Food, Greensboro, Taste Carolina Gourmet Food Tours, The Piedmont, The Piedmont Triad.